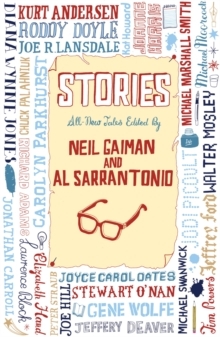 Stories, edited by bestselling authors Neil Gaiman (author of The Ocean at the End of the Lane and the epic American Gods) and Al Sarrantonio, is 'an unmissable collection' (Guardian), filled with distinctive, original and thrilling tales from writers such a Jodi Picoult, Lawrence Block, Roddy Doyle and many more. Rather than being dictated by genre, for co-editors Gaiman and Sarrantonio there is only one true distinction in fiction: the one dividing realistic and imaginative fiction. STORIES is a collection of the very best original fiction from some of the most imaginative writers in the world, as well as a showcase for some of fiction's newer stars.